I'm not sure if you knew this, but ice pops? Totally not just a summer thing. In fact, I actually think they're sort of a perfect winter treat. Think about it. Chilly days usually mean hearty, heavy dishes. Stews. Roasts. Bowls of piping hot mac & cheese. Heavy, filling dishes that are perfect for the season, but which don't often leave a lot of room for a big dessert. Enter ice pops! Light, fresh, and not overwhelmingly sweet. The perfect way to brighten up a cozy winter meal. Outshine (previously known as Edy's Fruit Bars) recently sent me a couple boxes of their new seasonal winter flavors to try. I didn't even realize that they did this, but I'm kind of in love with the idea. Each season, Outshine puts out a couple limited-edition flavors inspired by the season. For winter, it's all about the citrus with their gorgeous Blood Orange and Grapefruit Fruit Bars. Made with real fruit juice and no funky ingredients, they're totally a light dessert that I can get behind. 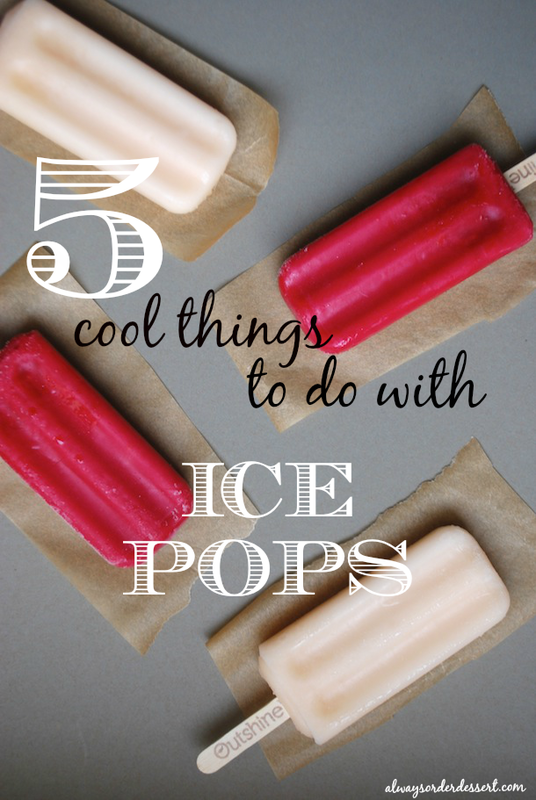 As delicious as they are on their own, I thought I'd play around and share a few ideas for how you can serve these ice pops to your friends or guests when entertaining this winter. 1. Dip it in Chocolate! Chocolate and orange is one of my favorite flavor combinations, so as soon as I got these Blood Orange Outshine Fruit Bars, I knew I had to dip them. To make, combine a cup of chocolate chips (dark, milk, white--choose your favorite!) with 1 rounded teaspoon of coconut oil and melt in the microwave, 30 seconds at a time, until smooth. 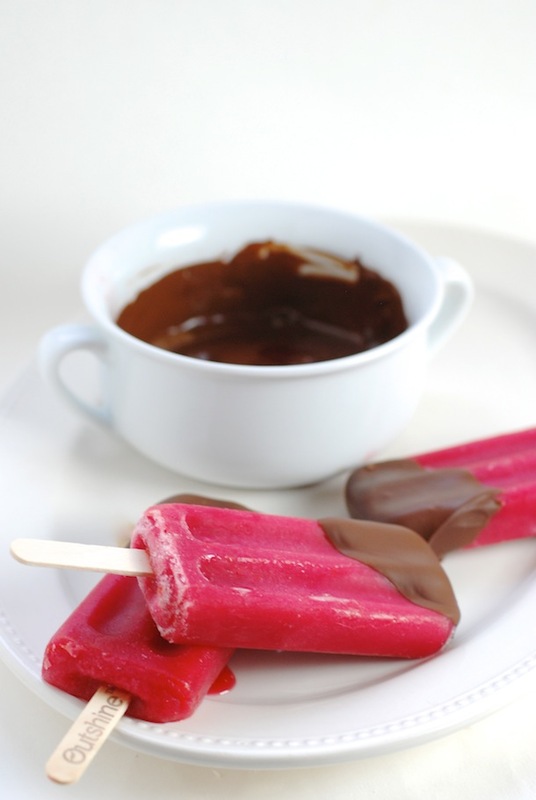 Dip the ice pop in the chocolate and place on a plate to set. It'll harden in just a few seconds, creating a crackling chocolate shell (similar to "magic shell"). These can be prepared a few hours in advance, which is perfect for an easy (and unexpected!) holiday dessert. One of my favorite breakfast treats is a half grapefruit sprinkled with raw sugar. I love the way the tart fruit contrasts against the slightly caramel-like flavor of the crunchy sugar crystals. 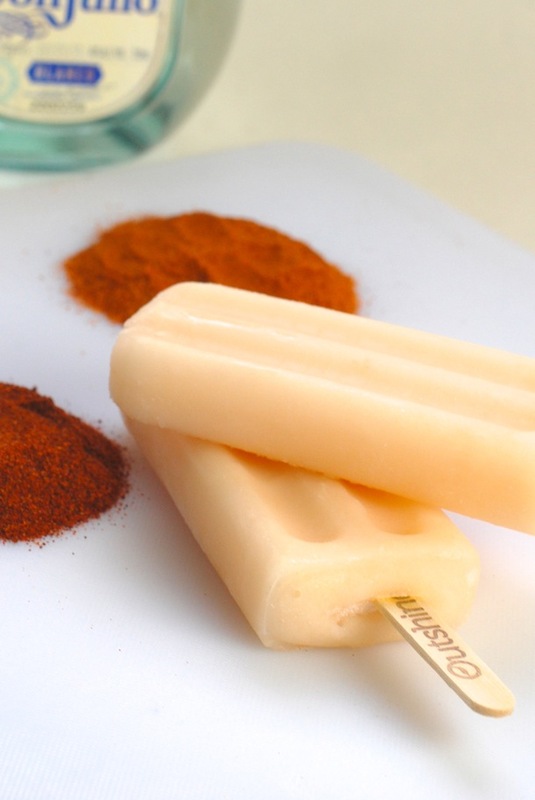 I used Outshine's other seasonal winter ice pop, Grapefruit, to try to recreate a fun dessert version of this breakfast classic. 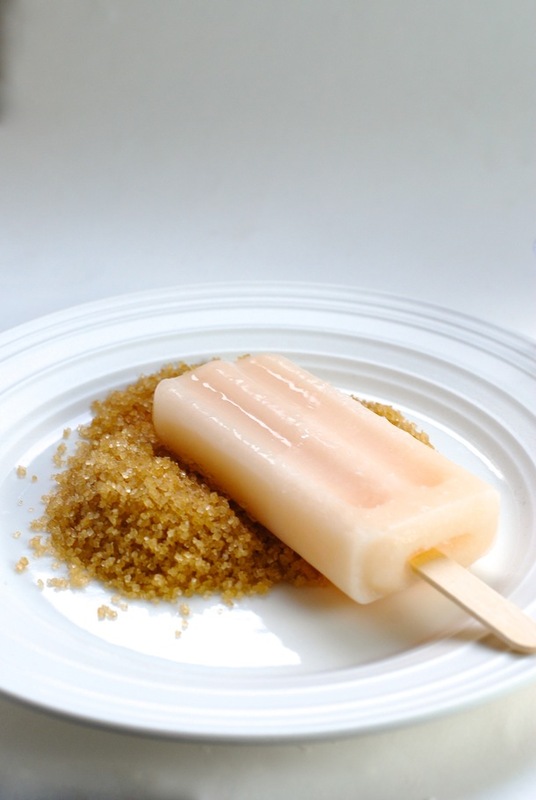 To make, I simply dipped the end of the grapefruit popsicle in water and then rolled it around in raw sugar. I popped them back in the freezer for a couple minutes to set, and the results were just like I remembered. The perfect combination of fresh, tart, citrus fruit with just a hint of caramel. And so sparkly--I think this would be a fun one to serve on New Year's Eve or at a glitter-themed bridal shower. Margaritas might get all the attention, but my favorite Mexican cocktail is the Paloma (Spanish for "the dove.") It's a tequila-based cocktail made with grapefruit juice or soda, and served with a spicy and salty rim. 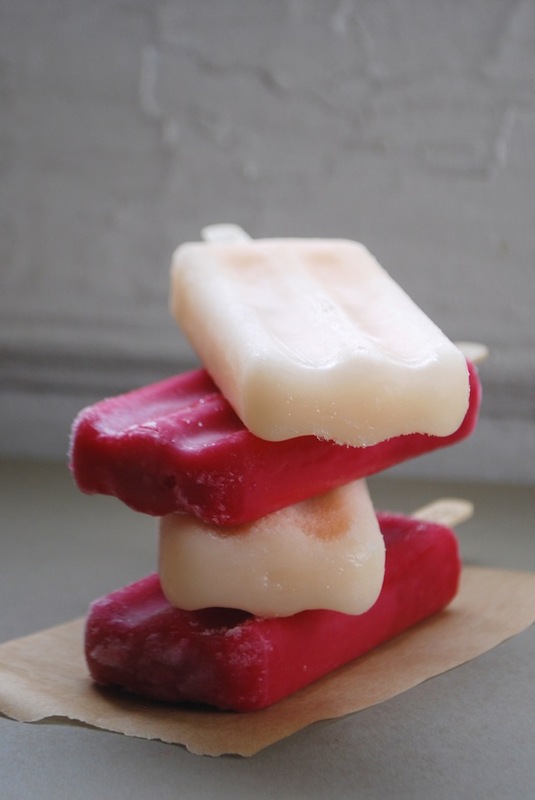 I used the Outshine Grapefruit Fruit Bars (which really do taste like fresh grapefruit!) 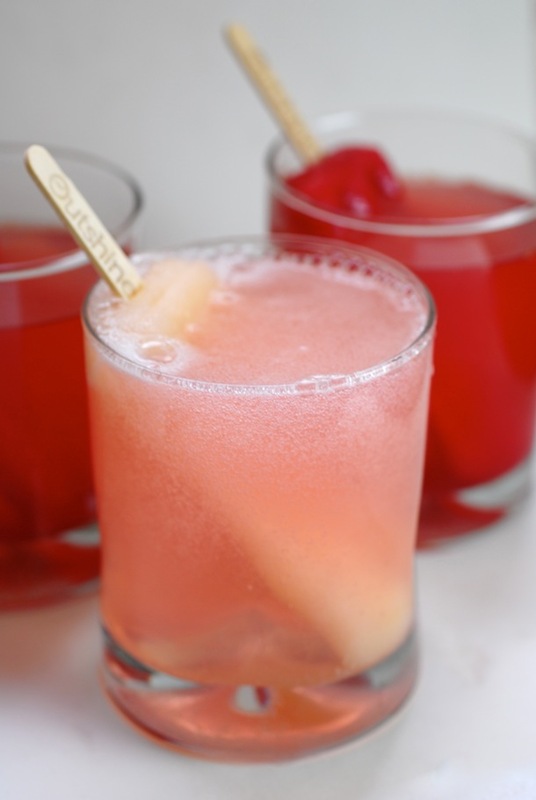 to recreate a grown-up ice pop version of this cocktail. Keep these in the freezer until you're ready to serve. Do you know what's unexpectedly delicious? 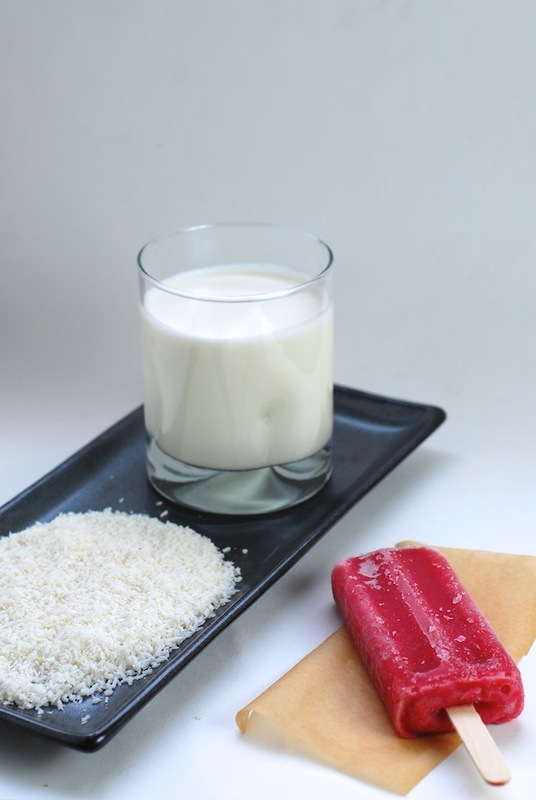 Fruit ice pops dipped in heavy cream. 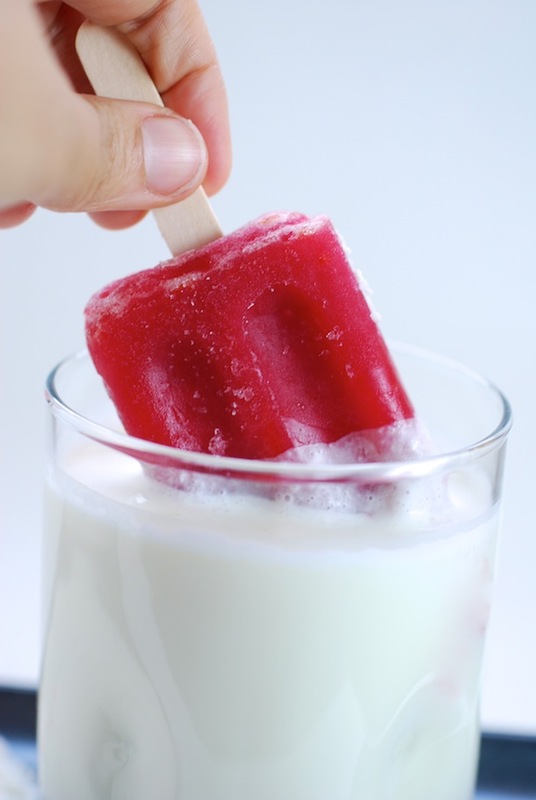 I don't know how I discovered this, but I somehow realized that by dipping icy fruit pops into plain heavy cream, it would create an instant creamy shell around the outside. It's the most perfect tropical combination of flavors and will make you forget that it's cold and wintery out there. To make, simply prepare a shallow dish with finely ground coconut (I used the unsweetened kind), and fill a glass with heavy cream. Dip about two inches of the ice pop into the cream and shake off the excess, letting it set for a few seconds, before pressing it into the coconut. Place on a wax-lined plate and freeze for 5 minutes, or until set. 5. Bring on the Bubbly! I love a good champagne cocktail, and this is really as good (and easy!) as it gets. 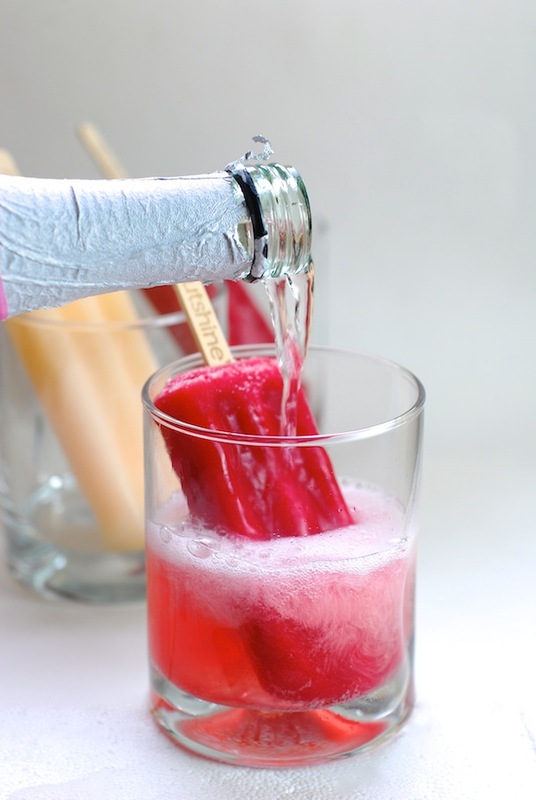 Arrange ice pops in cocktail or wine glasses, and top off with your favorite champagne or sparkling wine. I used a mix of the blood orange and grapefruit Outshine bars, since it created a nice mix of colors (and both work beautifully with the bubbly!). The wine will dissolve the ice pop and you'll end up with a glass of the most delicious, chilly, sweet and tangy beverage ever! Seriously...you'll never want to waste your time with a mimosa again. This post is sponsored by Outshine. Thank you for supporting great companies like Outshine. that make it possible for me to keep creating fun new content for you to enjoy. All photos, opinions, and recipes are (of course!) my own.